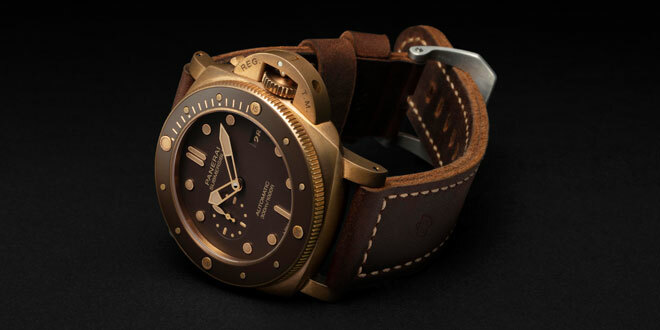 Since the release of the original in 2011 with the PAM382 Bronzo, no other watch released by the brand has had the rise and exclusivity with Panerai collectors. The Bronzo as it has become to be known in the inner circles has evolved over the years with different complications, power reserve on the PAM507, Blue Dial on the PAM671, and now the PAM968 boasts a number of firsts in this family of pieces. The new PAM968 while taking elements from the previous models has evolved a bit now featuring for the first time a unidirectional bezel that has a brown ceramic insert. This bezel, which is the same style as we have seen on the PAM389 & PAM1389, compliments the chocolate brown dial of the new Bronzo. Or should we call it the “Brownzo”? This ready to be patina’ed watch comes in a 47mm bronze 1950’s case that has been revamped in recent years thanks to a new movement and design changes. The dial also features a sub second dial at the 9 o’clock position and is finished off with gold hands, gold accented indexes with faux patina lume. All of these elements really tie the watch together with just the right amount of contrast and complementary pieces. The case has been slimmed down as well as the lugs being thinned and stretched out a bit. The overall fit on the wrist of the new 1950’s case is a bit more flush than previous models like my PAM312 which tend to ride much higher on the wrist. 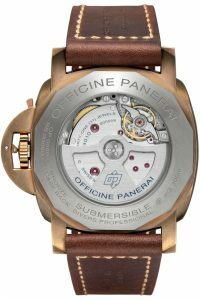 Powering the PAM00968 is the new P.9010 Automatic movement with 72 hours or power reserve that is executed entirely by Officine Panerai. Everything is held together with a titanium case back with see through sapphire crystal. 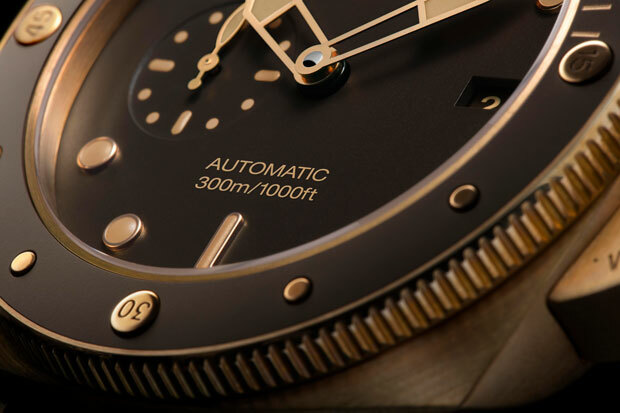 The reason that they chose titanium for the case back is because the bronze will of course oxidize and patina over time and if it is exposed to your skin directly would make your skin green as well. 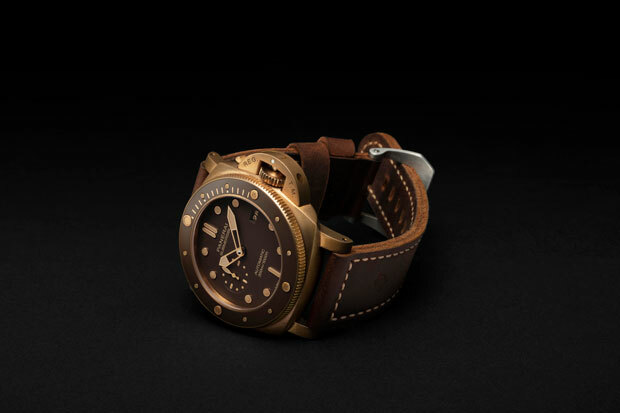 As with the tradition of Panerai’s diving watches the Bronzo is depth rated at 300 meters or 30 bars thanks to it’s design and crown guard system. 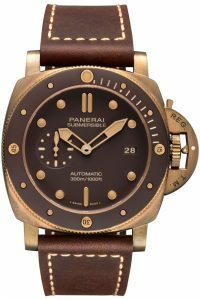 The PAM968 comes on a brown leather Ponte Vecchio style strap and also has a secondary green rubber strap in the box for all your diving adventures. I know what you are thinking, what’s the point of talking about a watch that is so sought after that you only have a chance to get it if you are the best of the best clients of the brand or at times pay a crazy premium on the secondary market. Well, this “Bronwso” kind of changes the game a little bit from previous years. Lets be real, it has changed a lot. First of all the watch, while it’s limited to 1000 pieces this year, it will be made for more than just this year. So there will be more introduced into the market over time. The previous pieces were one time runs of 1000 pieces and then they were done. 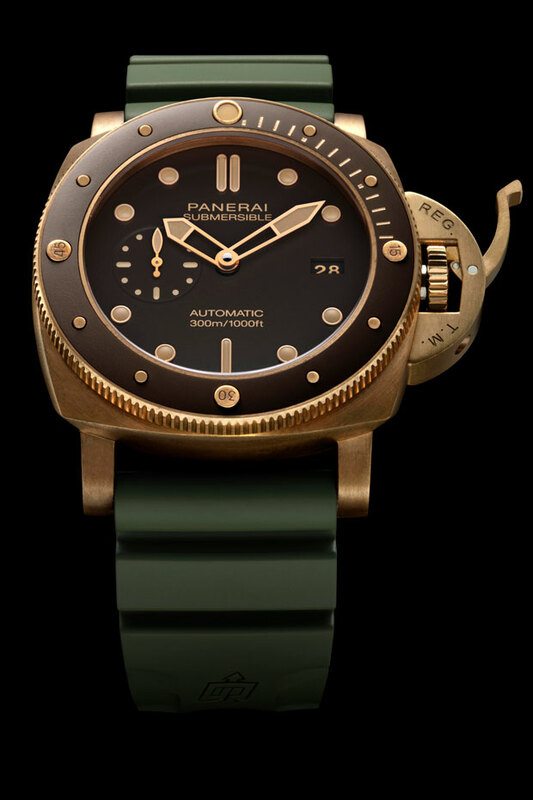 The current list price of the PAM968 is $16,500 USD. Then here is the even bigger kicker, while VIP clients get first allocations of the PAM968, the brand is actually releasing 5 pieces every quarter available to the general public through their ecommerce site here in the United States. 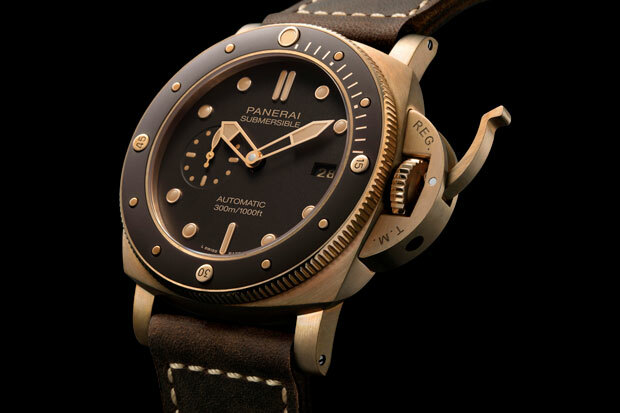 You can view the details of the PAM968 on the Official Panerai Site HERE. Of course the first 5 went instantly since we originally posted, but this availability to anyone is an interesting step. Now you are going to have to be on the lookout on the release of the next 5 next quarter. Along with the US Market’s e-commerce site, the watch will be available on the Panerai WeChat Boutique as well as Mr. Porter. Needless to say the look and release of this Bronzo has been different in a number of ways. This continues the obvious shift in a lot of things that new CEO Jean-Marc Pontroue feels are important. We have seen a new direction with the submersible line, a renewed effort in reaching the true fans of the brand, as well as giving people more access to the watches they they truly love through methods like this PAM968. We have also seen a renewed interest in the social media side of the brand as they are doing more interesting ways of releasing their watches. While it’s still a very small number and almost like winning the lottery to get one of these watches, it’s a step in the right direction in my opinion. For far too long the flippers were destroying the joy of the Bronzo for a lot of true fans that just wanted a chance at buying this watch. 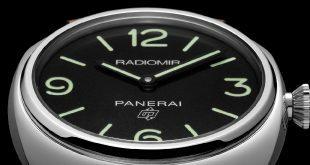 With the move to make it a regular production piece for the time being, The PAM968 will hopefully move away from their grasps onto the wrists of the deserving group of loyal brand supporters. 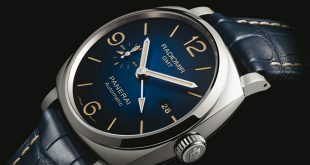 MOVEMENT: Automatic mechanical, P. 9010 calibre, entirely executed by Panerai. 13 . lignes, 6 mm thick, 31 jewels, 28,800 alternations/hour, Incabloc® anti-shock device, two barrels. 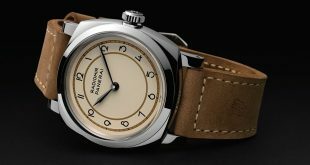 Officine Panerai has released two new entry level Radiomir Logo Dial pieces to their collection. The PAM753 Black Seal and PAM754 Base Dial.